You know it is cold and windy when the steam refuses to even rise. 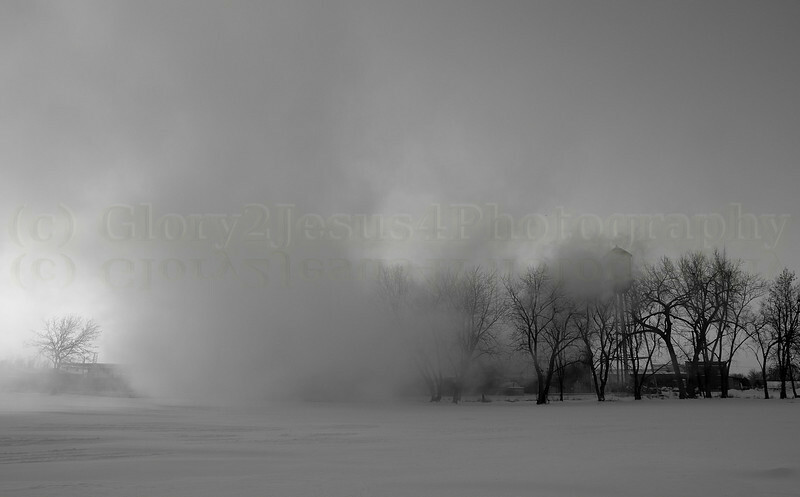 It was so cold the Steam from the Paper mill in Tama Iowa was just staying close to the ground and blowing across the snow blown field. With the sun setting it made for a nice effect.